Unique luxury spa and diving experiences in the Maldives. Floating Resort by Scubaspa is a new and unique concept combining exceptional spa experiences with unforgettable scuba diving. 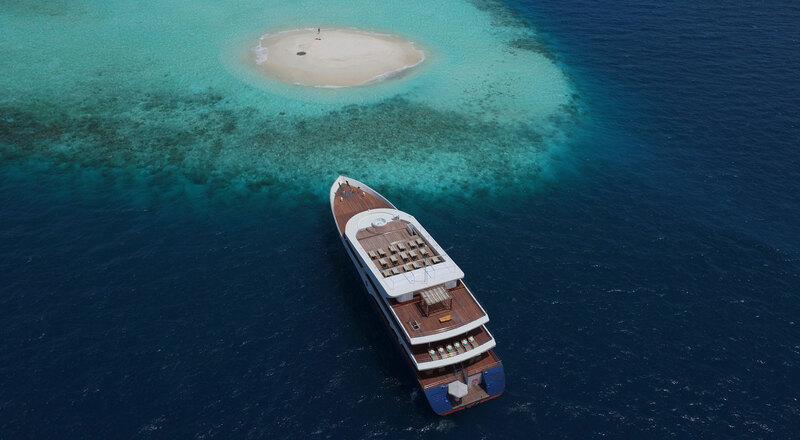 Designed for divers who travel with non-diving partners and guests with a keen interest in spas, Scubaspa’s purpose-built yachts explore the picture-perfect islands and reefs in the crystal-clear waters of the Indian Ocean. Discover the rich marine life under the ocean or indulge in daily treatments in the sumptuous onboard spa. Or why not experience both? The beauty of Scubaspa is that the choice is yours. Four spacious decks offer a gym, Jacuzzi, and deck hosting sunset cocktails, star gazing outdoor dinners and an open-air cinema for evening entertainment. With a crew of 30 on each yacht, guests benefit from a high staff to guest ratio, including four spa therapists, a yoga master, four highly skilled chefs and a guest services manager to ensure excellent service.